HOLLYWOOD SPY: EWAN MCGREGOR TO LEAD MINI TV SERIES SIMPLY HALSTON ON FAMOUS AMERICAN CELEBRITY FASHION DESIGNER! I must admit I've never heard about Halston. I only know the big names of italian fashion designers. Pity he died an untimely death! These people are usually creative and interesting, and so are the movies made about their life ,designs, and customers. The actor chosen to play Halston looks very cute! I like his outfit, his hairstyle, and his smile. I haven't either, but he was probably bought by Revlon before I came to this world :) My fave designer is actually from your part of the world - Elie Saab! 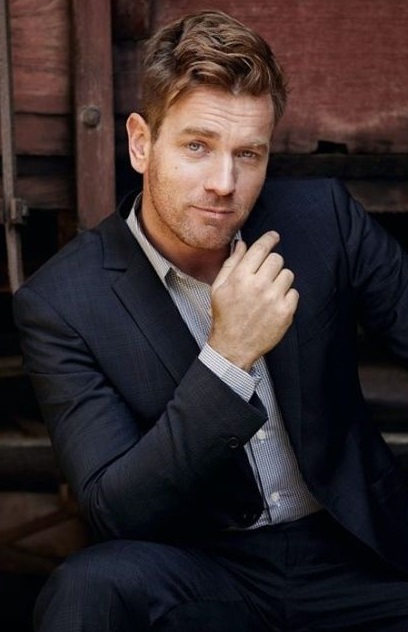 I love Ewan McGregor! Should be good! he is ever so lovely, although, sometimes, too extreme liberal for my moderate liberal taste. Sounds like a designer that I would like. I always go for simplistic and comfortable, but can also be dressed up a bit if need be. An interesting tale but not for me I'm afraid!